Wherever we look, we seem to be confronted by small cliques with disproportionate influence in our societies. The financial crisis that struck in 2008 revealed worrying connections between key players in business and government in the US. Such “golden circles” are in tension with the desire for efficiency, fairness and transparency of our competitive and democratic age. The groupthink of powerful cliques seems to make them blind to alternatives known to others, while their exclusiveness makes the rest of us suspicious of any contribution the elite have to make or decisions they take. Yet, networking is also seen as valuable in building trust and exchanging ideas. For example, the social networking site, LinkedIn, is valuable enough for over 300 million users across the world to have decided to join. Given the perceived costs and benefits of elite networks, historically, society seems to have focussed on how, and how early in life, such networks are formed. Unfortunately, the manner in which the formation of elites has been discussed to date makes it difficult to compare elite formation itself across countries and time. Also, it has been difficult to know if some “telling statistic” is revealing something useful, or has been painstakingly mined from a mountain of data, the spoil of which might tell a thousand equally relevant, but contradictory, tales. Some facts do seem very persuasive when presented in a comparative fashion. For example, between 1937 and 2012, of the top 18 UK secondary schools supplying UK cabinet ministers, only one is state run. This contrasts with Ireland, where 11 of the top 18 schools are state run. In the UK, the top 17 fee-paying schools have supplied 125 ministers or 37 percent, whereas in Ireland the top 17 fee-paying schools have supplied only 22 cabinet ministers or 14 percent. In total, 196 UK ministers (58 percent) attended fee-paying schools, whereas in Ireland 41 ministers (26 percent) went to such institutions. In the UK, 9 of the 14 prime ministers since 1937 came from fee-paying schools, while in Ireland 5 of the 12 Taoisigh (prime ministers) were educated in fee-paying schools. 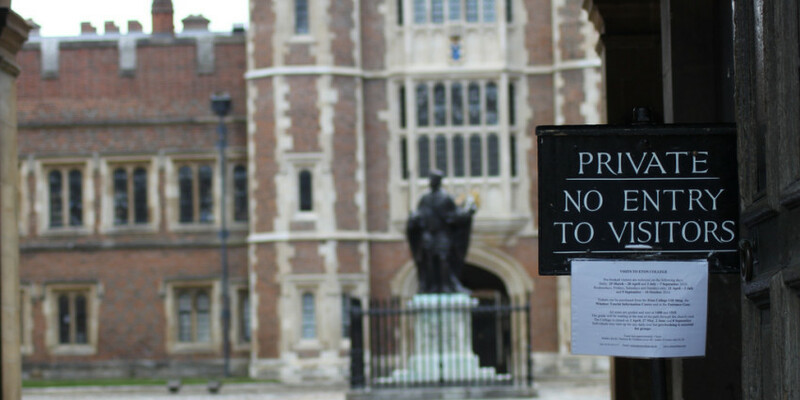 Overall, for us, the standout school in the UK is Eton College, which accounts for 47 British ministers and 4 prime ministers; there is no comparable school in Ireland. Although these numbers suggest that a high proportion of the UK’s political elite attended fee-paying secondary schools, one might rightly feel that it is hard to make reasonable comparisons. This is because the numbers fail to take account of the size of the countries, their overall student bodies, what proportion of students attend elite producing institutions, and the relative size of their cabinets. Thus, a problem has been an inability to compare elite forming institutions, in our case secondary schools, across countries in a direct manner. To resolve this problem, we developed a set of indices for comparing the influence, exclusiveness and eliteness of the systems that produce elites. 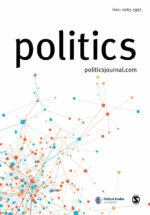 The particular elite we chose to focus on were senior politicians (see Developing an Elite Formation Index for Comparative Elite Studies: The Case of the Schooling of Irish and UK Cabinet Ministers). The influence of these schools comprises the proportion of cabinet ministers associated with the institutions, and the limited number, or “fewness”, of the institutions. For example, the percentage of UK cabinet ministers who were past pupils of the “Clarendon Nine” fee-paying schools. Exclusivity too comprises two aspects. First, the more alternatives there are to any one school, the more exclusivity there can be. Second, the more unequal the shares of each school, the more exclusivity there is. Eliteness is the linked combination of exclusivity and influence. When we applied our indices to the data we gathered on the schooling of the Irish and UK ministers over three quarters of a century we obtained some interesting results. At the macro level, between 1937 and 2012, only a very small percentage of secondary schools in Ireland and the UK provided ministers, with even fewer providing more than one minister, and just a handful providing many ministers. We found that the eliteness of the schools educating cabinet ministers in the UK was double that in Ireland. Our results are analogous to the arguments made by other researchers relying more on thick description and impressionistic evidence than the comparative and more quantitatively precise approach we have developed. We found that the influence of these elite schools in the UK was over twice that in Ireland. Surprisingly, perhaps, we discovered that the exclusiveness of the UK system was only slightly higher than that in Ireland. This draws our attention to how the smaller size of the elite-producing schools in Ireland, compared to the UK, means that the Irish system is closer to the UK’s exclusivity than might first appear. Up to now, while we might have had the general impression that the Irish education system was less elite than the UK one, we had no way to quantitatively scrutinise it. Consequently, our indices constitute a significant new tool for use in comparative elite studies, bringing a level of transparency and facility of comparison to the topic that was previously absent. Alas, in the case of the UK, our results underline the general view that elite networks, at least in politics, are formed rather exclusively and early in life in specific fee-paying schools. As C. Wright Mills observed in The Power Elite, elite schools are “agents in a conspiracy of the already privileged to perpetuate their privilege forever”.